VdB 56 (in the center of the image above) is a reflection nebula visible in the constellation Taurus. It is situated in the eastern part of the constellation, about 30 arc minutes in ESE direction from the star 126 Tauri, of magnitude 5.04. It appears as a very faint strand of gas stretched from east to west. 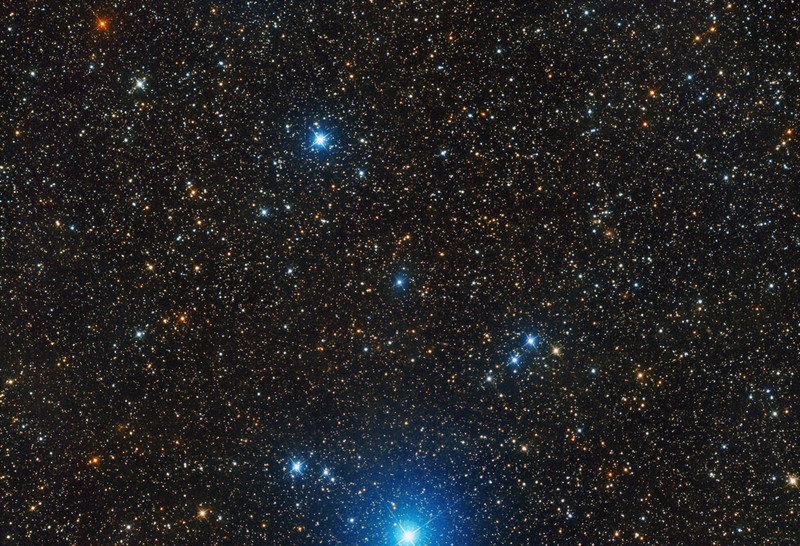 Its bluish color is given by its lighting star, HD 38065 - a A2V spectral class star of. Its parallax has been calculated in 13.3 mas, which suggests a distance of about 75 parsecs (equal to 245 light-years).